The EB Series Epiphone another Gibson classic which has been brought into the Epiphone portfolio. 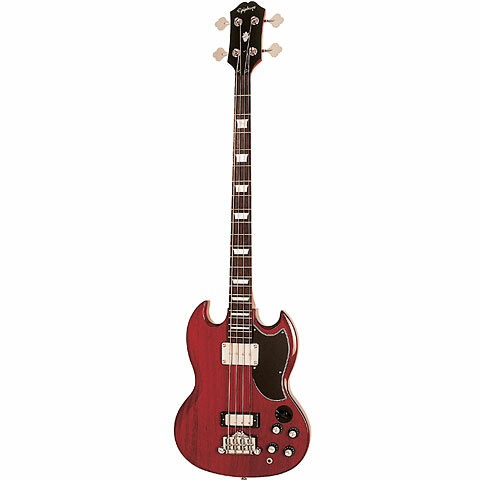 This bass was very popular in the 60s and was played by the likes of Jack Bruce (Cream) and Andy Frazer (Free). The characteristic, slightly muffled sound is the hallmark of this bass. Available in various versions with short and long scale. This item was given an average rating of 4.4 out of 5 stars. No review about this product has been written yet. 10 ratings exist without a text or these reviews are written in another language.